Lucas de Staël first optical boutique-designer spectacle manufacturer is open now in the heart of the Parisian “Marais” more precisely at 101 rue de Turenne. Designed with the collaboration of architect Nicolas Omet, we created a space where oak, steel and leather interact with each other while staying consistent with the spectacles showcased. Our boutique, that we consider as an extension of our workshop is also presenting our latest collaborations & partnership with different designers, the goal being to create a space that is living, and constantly evolving. All the furniture was custom made in our workshop : the cow leather lamps, the schoolboy chairs and the drawers, made out of oak and steel, being all available for sale. 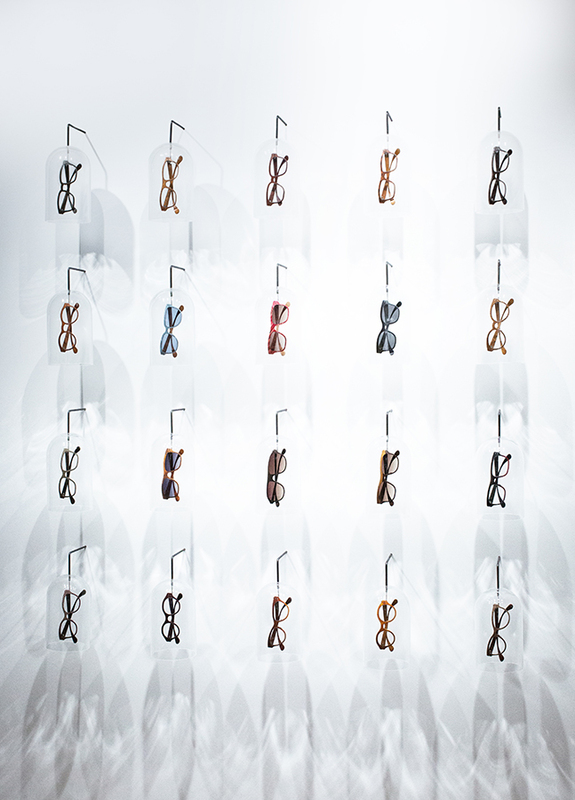 The collections are arranged following a unique method, in which steel shelves are fixed to the wall thanks to a magnet system. A sunbathed conservatory also adds a bucolic and relaxing element.